Welcome to selfemployedmortgages.com, an FCA-accredited mortgage broker for self-employed people. We’re a specialist firm of approachable, independent mortgage advisers. 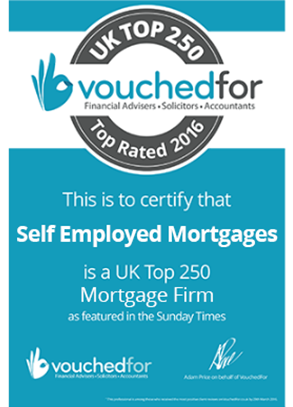 Our sole focus is on securing mortgages for self employed people just like YOU. We understand the barriers that people who work for themselves face from traditional mortgages lenders. Most High Street mortgage lenders don’t! No two High St banks or building societies have the same criteria. What one form of evidence passes as acceptable for one lender doesn’t cut it with another. You shouldn’t have to put up with that uncertainty! We’ve forged our business to combat the mixed messages self-employed people get on the High Street. You no longer have to face the ineptitude of advisors who don’t understand your mortgage affordability. We search the entire marketplace to find the best mortgages for self employed people. Our independence and FCA accredited status gives us this freedom. We’re not affiliates or tied to a panel of lenders. When we say “whole of market”, we mean every lender who trusts us to interpret your income correctly. We can advise you on, and arrange a suitable mortgage from, all the lenders and their entire product range. We know how difficult it can be to get a mortgage in the current mortgage climate. Even moreso if you work for yourself. Our specialist team uses its knowledge to secure you the best deal in the shortest possible time. Unlike other mortgage websites, we are NOT a marketing or mortgage “introductory service”. We won’t farm out your mortgage enquiry to financial institutions or third parties. The Financial Conduct Authority (FCA) has authorised us to provide direct mortgage advice. When you complete a mortgage enquiry form, your details go to one of our specialist mortgage advisors for immediate follow-up. Rest assured, your best interests are our prime consideration when we tailor a recommendation for you. Our compliance team also ensures that we handle your mortgage enquiry to the letter of the law. that you do, in fact, meet the lender’s criteria.